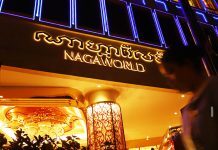 Cambodia’s consistently low ranking on international measures of corruption and the ease of doing business came into the spotlight during a conference on Monday in which officials debated whether they unfairly damage foreign perceptions of the country. Speaking on Monday at the first Cambodia-E.U. 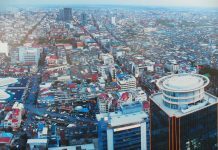 Business Dialogue conference in Phnom Penh, Sok Siphana, a prominent government adviser, questioned whether international bodies could truly capture the situation on the ground. 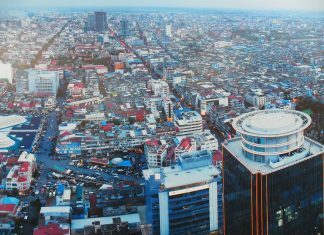 “How can someone in Washington rank us 180 out of 189 countries,” Mr. Siphana said, referring to Cambodia’s low ranking in the “Starting a Business” section of the World Bank’s Doing Business 2016 report, released in October. Indeed, recent annual rankings published by international organizations have not painted Cambodia’s business sector in a favorable light. In January, Transparency International’s 2015 Corruption Perceptions Index ranked Cambodia 150 out of 168 countries, the lowest in the region, while the World Bank’s Doing Business 2016 report, released in October, placed the country 127 out of 189 countries. George Edgar, the E.U. ambassador to Cambodia, said that rankings may be imperfect, but are still a useful metric to encourage government accountability. “Moving up the ladder…is also a route to create good perceptions which reinforce good perceptions. It’s a win-win,” Mr. Edgar said, alluding to the country’s corruption ranking. The World Bank’s measures use data that is verified by “local incorporation lawyers, notaries and government officials,” according to its website. Transparency International relies on the opinions of local businesspeople and country experts on public sector corruption, as well as other business surveys.